Kimberly and the fine staff at the Fat Quarter Shop are sponsoring a fun event this week called the Jelly Roll Jam and I'm jamming along with them. I was asked to make their pattern, Jelly Roll Jam, using a jellyroll of Hope Chest by Edyta Sitar at Laundry Basket Quilts for Moda. One jelly roll will make two quilt tops! And the pattern is free!! It has approximately 108 pieces. It finished at 36 1/2" x 36 1/2 "
I was able to make both quilt tops in one afternoon. In order to get the best placement of the fabric, the pattern instructs you to create three strip sets from 18 different pieces of jelly roll fabric. To help me keep track of the sets I labeled these scraps that were left over after subcutting the units. This maybe doesn't make much sense to you now, but once you study the pattern you may find this tip helpful. So here's the important information for the Jelly Roll Jam. 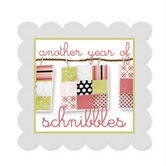 And there's more, all jelly rolls at the Fat Quarter Shop are on sale this week, 20% off! The sale runs today, Monday, September 15th through Sunday, September 22nd. My tops have been mailed all around the country, quilted, photographed, videoed, and arrived back home this weekend, and I think they look pretty good on my red couches, a matched set, a first for the red couches. 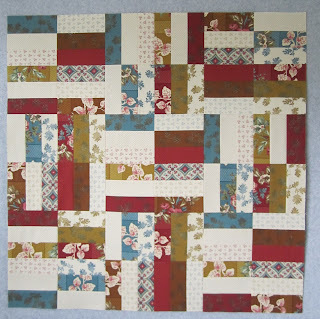 I wasn't the only one asked to create a sample quilt for the Jelly Roll Jam. Here are a few others. 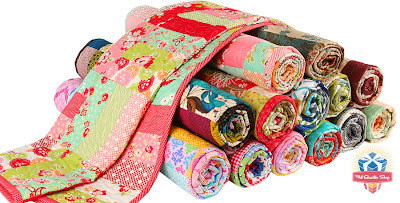 Be sure to stop by these blogs to see the Jelly Roll Jam Quilts they created, it's like a little surprise Jelly Rolly Jam parade. 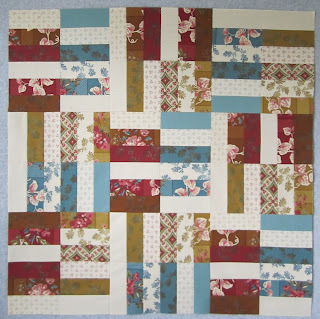 And finally, if you're a frequent reader of my blog you are aware that I'm a piecer, not a quilter. I would not have been able to participate in this sew along without the help of Abby at Latimer Lane Quilting. Abby agreed to squeeze in these project around her vacation and other commitments. Not only did she quilt the tops she also put on the binding. Thanks so much Abby. As you can see here, each quilt was finished using a different quilting pattern, one large and one small, both perfect. 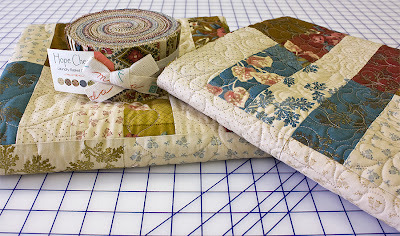 Abby is going to talk about her quilting on these tops on her blog today, here, be sure to hop on over and read all about it. your quilts are perfect for your couches. 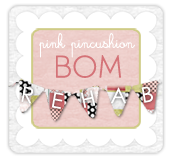 Such a fun blog hop...I am thinking I might cut my own strips and try to make one from old stash! !